Enroll in the CBCP Certificate Exam & Preparation Courses - Save $290! 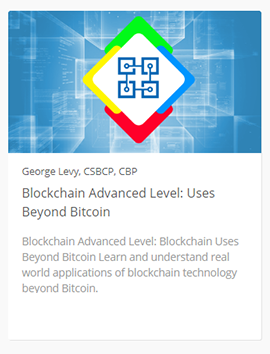 Strengthen your resume and professional profile by earning your Certified Blockchain Professional (CBCP) Certificate and Credentials. 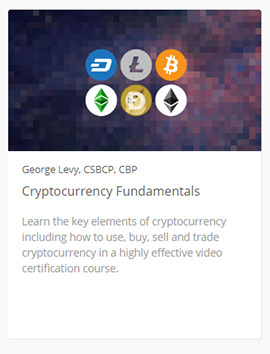 Prepare for the examination with four recommended global best-selling video certificate courses on blockchain and cryptocurrency. 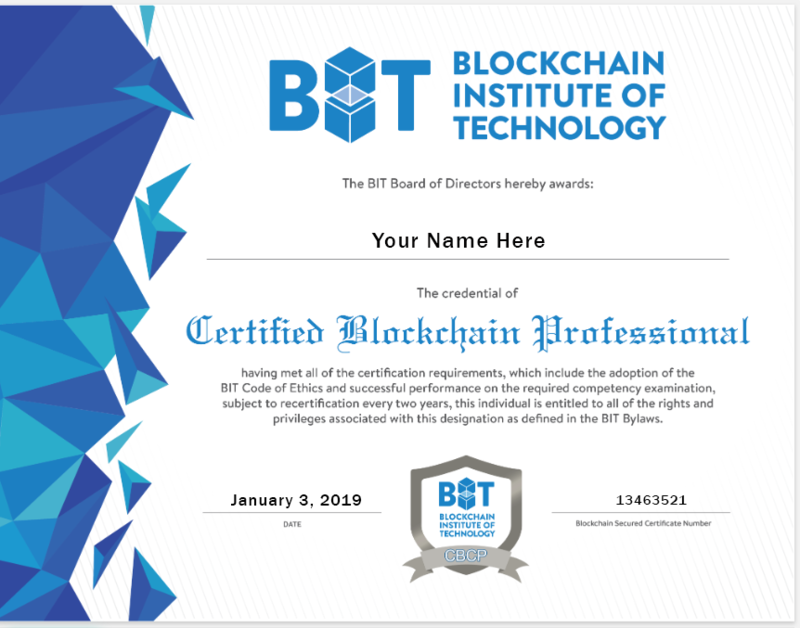 Take advantage of reduced pricing for your blockchain and cryptocurrency training and certificate needs by enrolling in the Certified Blockchain Professional Curriculum and Examination from Blockchain Institute of Technology. 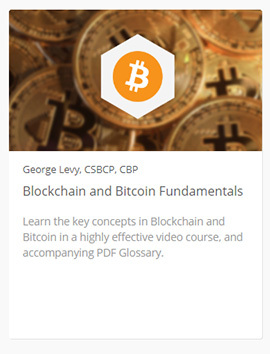 With this special offer, you will receive enrollment in the Certified Blockchain Professional (CBCP) certification examination (a $945 USD regular value) PLUS all four recommended video certificate training courses (a $490 USD regular value) - all for one single reduced price. 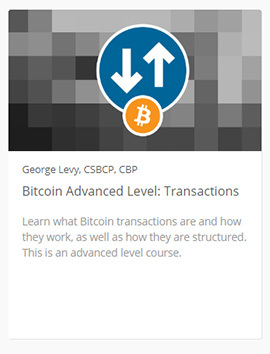 "The CBCP credential was one I had wanted to obtain for a while now and I’m very excited to finally have it under my belt. Having credentials such as CBCP allow for us to speak from a greater position of strength"
100% Money Back Guarantee so you have nothing to lose, and everything to gain! 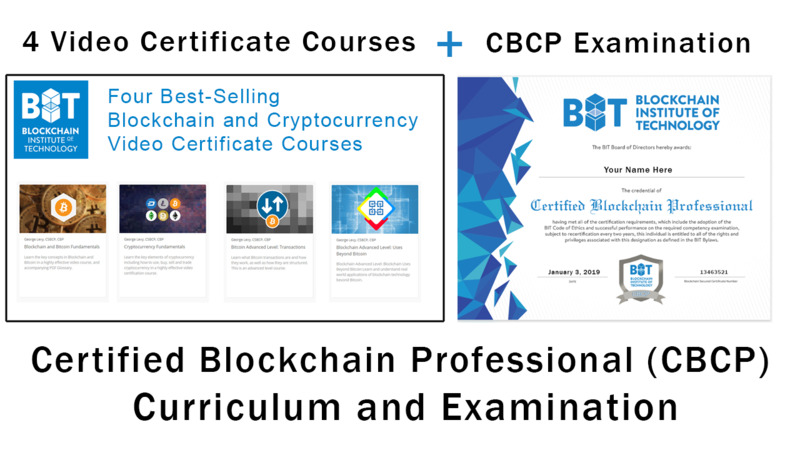 With your paid enrollment in this offer, you will be registered to take your CBCP certification examination, and receive full access to all four preparation video courses, as well as the accompanying blockchain-verified certificates from Blockchain Institute of Technology which you can add to your resume and LinkedIn profile - all for one single reduced price.